PARIS, Jan. 4 (Xinhua) -- The Louvre Museum broke its attendance record in 2018 with a total of 10.2 million visitors, an increase of 25 percent in comparison with 2017, the museum said in its latest press release. "No other museum in the world has ever equaled this figure. The Louvre's previous record of 9.7 million dates from 2012, the year that saw the inauguration of the Department of Islamic Art and the presentation of exhibitions on Leonardo da Vinci and Raphael," the museum said. The recovery of tourism in France, especially in Paris, has boosted visitor attendance in 2018, as did the flagship exhibition "Delacroix (1798-1863)", which attracted nearly 540,000 visitors. Elsewhere in the world, interest in the Louvre was bolstered by the Louvre Abu Dhabi, which recently celebrated its first anniversary, and by Beyonce and JAY-Z's "Apes**t" video, with its tribute to some of the museum's greatest artworks, according to the museum. The year 2018 was marked by a sharp rise in the number of foreign visitors, which represent almost three quarters of total visitor numbers, mostly from the United States, China, the European countries especially Spain, Germany, Italy and the UK, and Brazil. 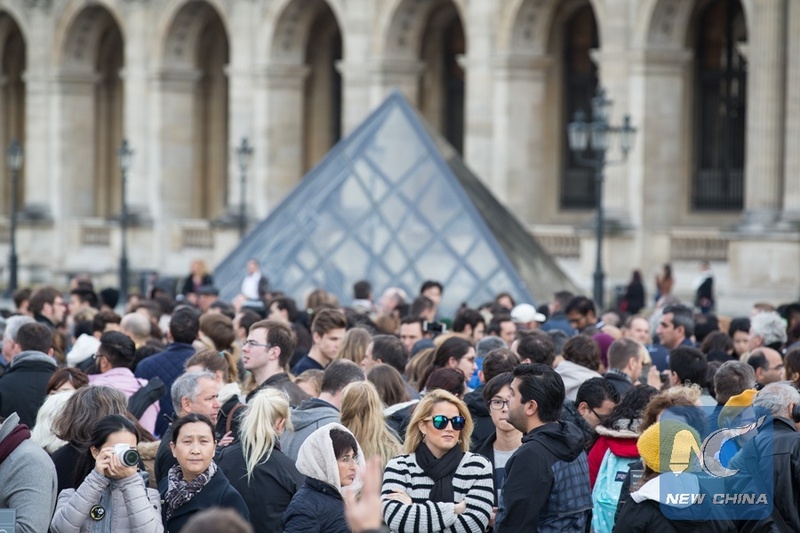 The Louvre also continues to be popular with the French public, drawing over 2.5 million French visitors in 2018, a sharp increase compared with 2017. "I'm delighted that the Louvre is so popular," said the Louvre's president-director Jean-Luc Martinez in the press release. "Our goal is not so much to attract more visitors as to provide better visiting conditions ... the renovation of the infrastructures under the Pyramid and the introduction of time-slot tickets have helped us level out visitor numbers throughout the year and reduce ticket lines outside the museum." In 2019, to allow everyone, especially local people, to visit the Louvre in the best possible conditions, the museum is launching free and festive new events called "Saturday Night Openings", to be held on the first Saturday of every month.